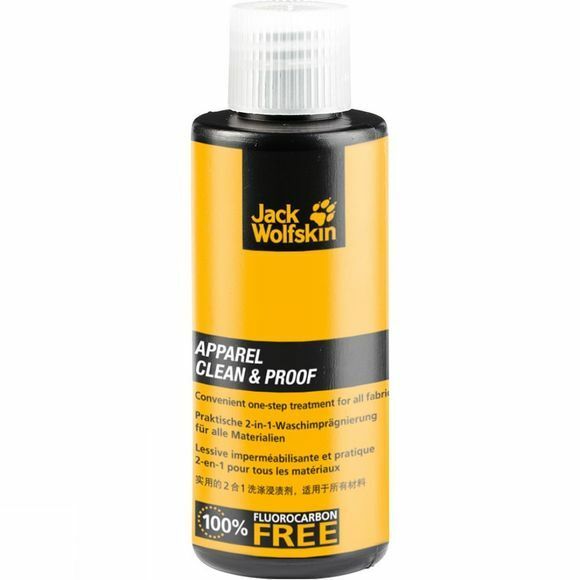 This two-in-one detergent cleans and proofs all modern functional materials that are waterproof and breathable. It's odourless, environmentally friendly and does not leave any residue behind. It does not contain any whitening agents or perfume. The ingredients and production process are PFC-free, silicone-free and Bluesign-certified.